Jackie Knabe, at right, Grandview Assistance Program's new Executive Director, receives a donation of school supplies from Burger and Brown Engineering. Grandview Assistance Program’s new executive director may be a slightly familiar face to those who have been in the area for a while. Jackie (Burkhart) Knabe officially began her new role at the beginning of the month, but has already made a splash in the community by helping to bring relief to those who suffered damage due to the recent flooding. Formerly with Hillcrest Transitional Housing in Kansas City, Kansas, Knabe is a Grandview High School alum with two children. She grew up in South Kansas City and Grandview, and after getting married, became a stay-at-home mom in Lee’s Summit. She ran a daycare in her home for a while and became very involved in the PTA organization at her children’s elementary school. She began reading a series of books that opened her mind to the world outside of motherhood, and at 38-years-old, decided that she wanted more out of life. She then reflected on her entire life and weighed the pros and cons of most everything. Knabe would hear of needs in her own community, and began a gift card program where women would buy WalMart or other cards and started a small food pantry. Another mom came to her and told her that the heat was out in their vehicle, so Knabe then organized funding for the family for a new van after enough community members pitched in what they could. Circle of Hope was born out of this group of moms who would gather together for dinner, crafts and fellowship. She began visiting a different church after reading a book read by the congregation that changed the way she thought about life. There, she met the pastor and they began Coldwater of Lee’s Summit, a faith-based organization which provides food and clothing for those in need in the community. She then divorced, and as a single mom couldn’t manage the hours of working at Coldwater. An opportunity with Hillcrest Transitional Housing eventually came along and Knabe became a case manager there for four years. She was happy where she was, and wasn’t looking for a change when the Grandview Assistance Program’s executive director position became available. She is excited to be able to give back to the community that raised her, as she said she had a wonderful experience growing up here. Knabe brings a fresh set of eyes and new ideas to the organization, and would like to see GAP further their financial education and training for their clients. She’d also like to partner with as many other area resources as she can. Knabe would also like to expand volunteer opportunities to get more citizens involved in the organization. She feels that GAP’s hours are not aligned with when families can typically volunteer to serve and she’d like to find a way to offer an opportunity for those who may not have had one before to become involved. She’d also like to create a welcoming and inviting space for clients using GAP’s services and those who are there to volunteer. 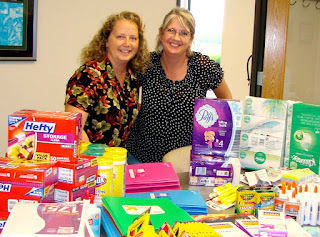 Established in 1991, GAP’s mission is to assist in a dignified manner families and individuals in Grandview and the Grandview School District with emergency assistance and guidance toward ultimate self-sufficiency. Community members looking to volunteer with GAP can do so by either emailing Knabe at grandviewassistanceprogram@gmail.com, or by calling 816-761-1919. Currently, Grandview Assistance Program is open from 9 a.m. to 3 p.m., and days align with the Grandview School District. They are located at 1121 Main Street in Grandview.